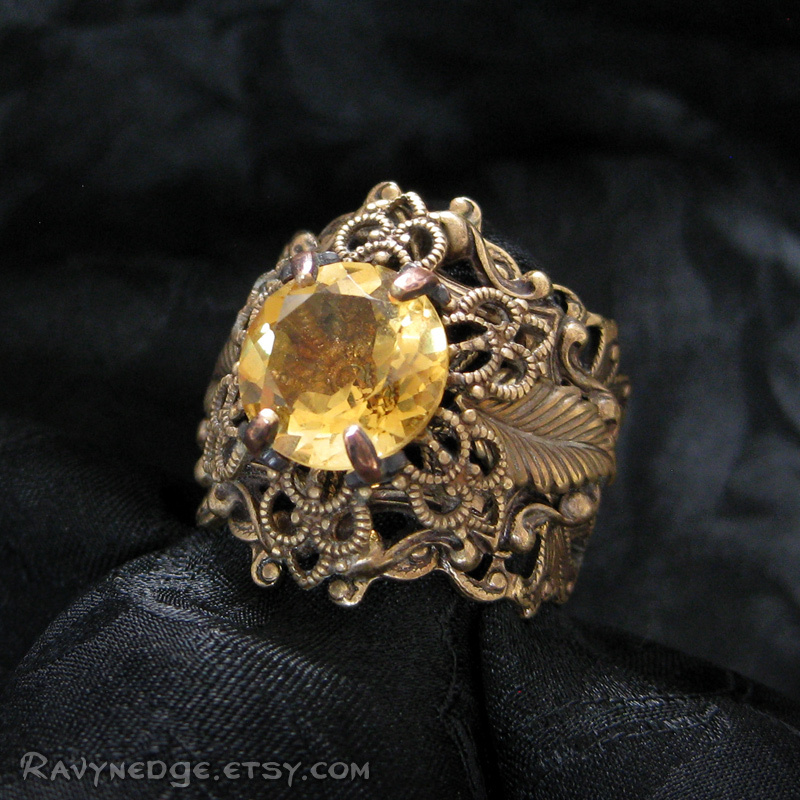 After The Rain Citrine Ring - Citrine and Brass Filigree Adjustable Ring by RavynEdge. 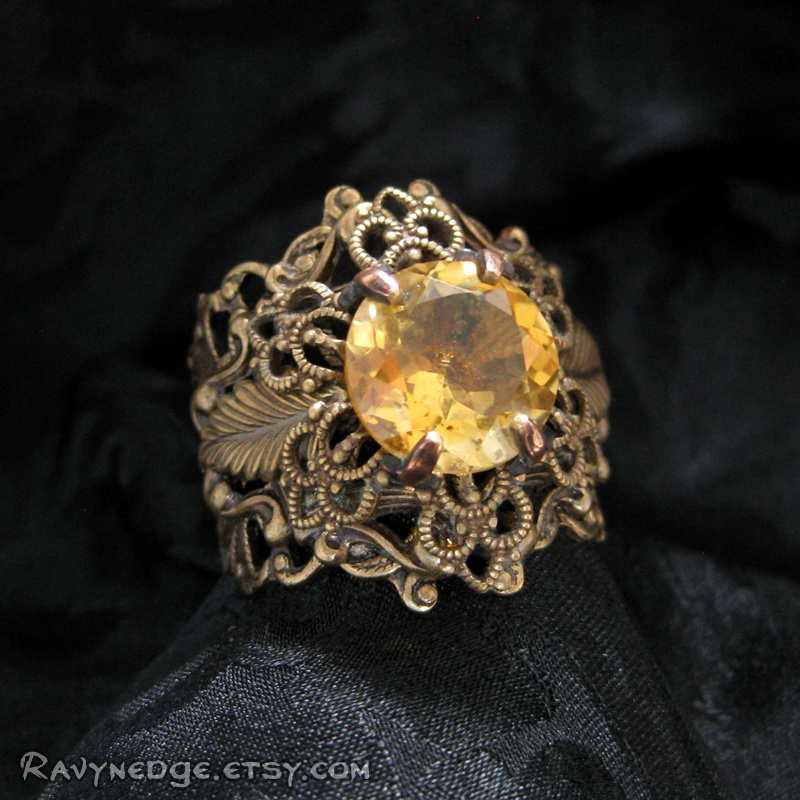 This was a custom order for a customer who wanted a natural citrine gemstone in the "After the Rain" ring design. 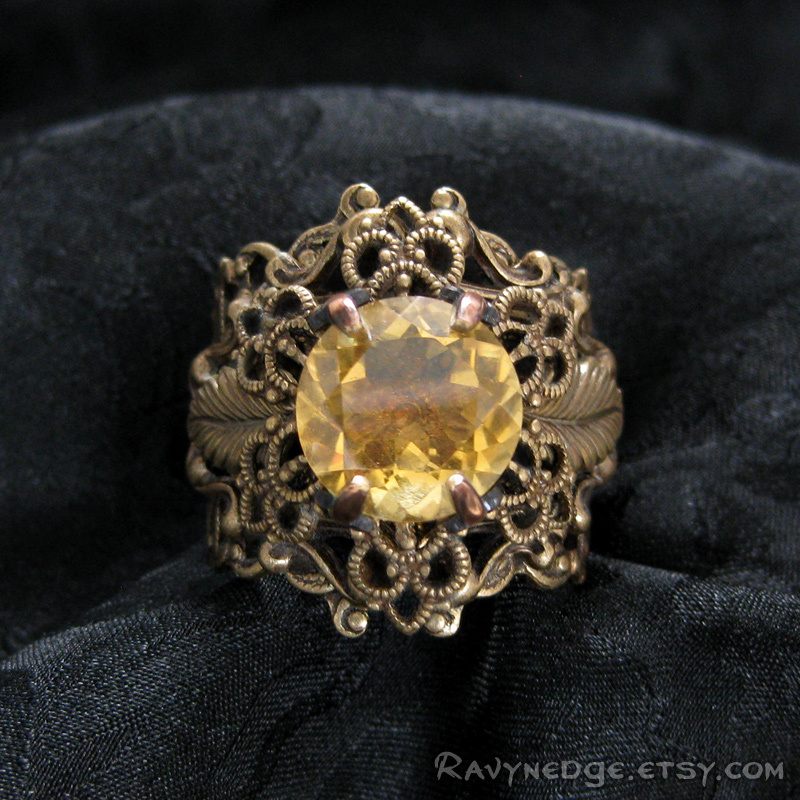 A breathtaking faceted round citrine jewel is set in ornate layers of brass filigree that curve luxuriously around your finger. 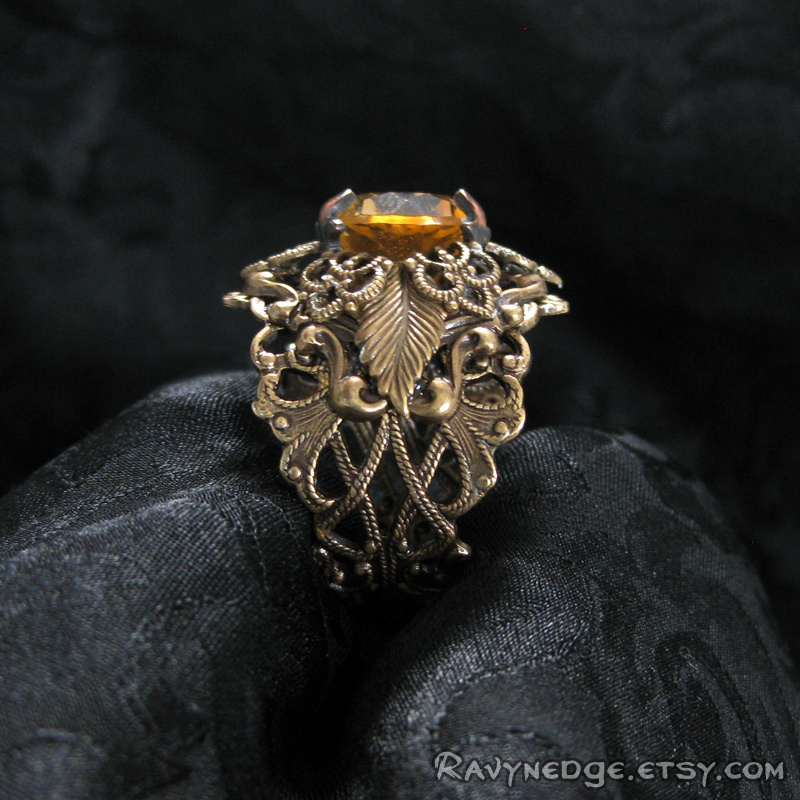 Beautiful leaves extend from the crystal and curl along the filigree band of this spectacular ring. Adjustable to fit most finger sizes. 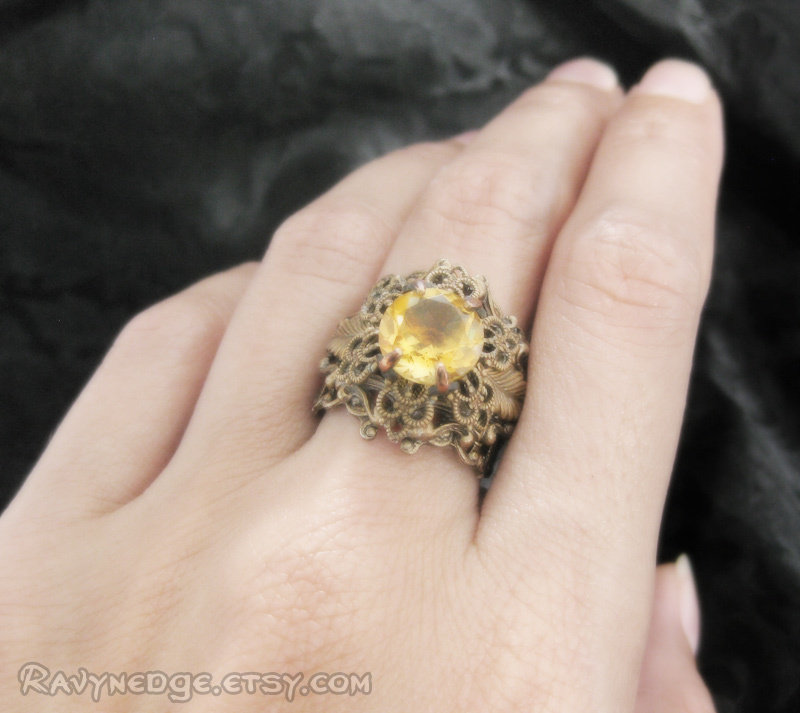 At larger ring sizes, there may be a gap under the finger.